Frontloading HQ: Why is Florida on March 1 and Not March 15? ***UPDATE*** (3/3/15): Given the signal from the Republican Party of Florida, the state party will continue to utilize a form of winner-take-all delegate allocation. Under current Florida state law, that would put the 2016 Florida presidential primary on March 15. FHQ has spent the week looking at some of the extraneous aspects of the proposed SEC primary in 2016. Outside of that state-level effort yet very much related to it is the reality that there are couple of behemoth states -- Florida and Texas -- that have already occupied the calendar real estate that the SEC states are eyeing. To this point, FHQ has set each to the side. That should not be interpreted as any sort of suggestion that there are not issues attendant to the delegate selection processes in either state. Both Florida and Texas have their quirks where 2016 is concerned. That would seem to indicate March 1. The Republican National Committee has said no states other than the four carve-out state can hold a contest prior to the first Tuesday in March (March 1). 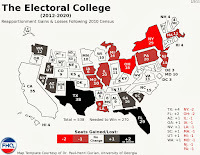 Those states that choose to defy the rules in 2016 will face a significant reduction to their national convention delegation depending on the original size of that delegation. Most states would be knocked down to just 12 total delegates, but states with delegations smaller than 30 delegates will have their delegations shrunk to just nine delegates. The Democratic National Committee has the same March 1 threshold for non-carve-out states in its rules. Yet those same rules lay out only a 50% delegation reduction penalty for violating states. The DNC Rules and Bylaws Committee does retain the ability to increase the severity of that reduction if it deems such an action necessary. Again, March 1 seems to be the landing spot for the Florida primary given the basic uniformity of the two parties' delegate selection rules. There is, however [as always? ], a catch to all of this. The RNC has another penalty that may affect the Sunshine state presidential primary calendar position. 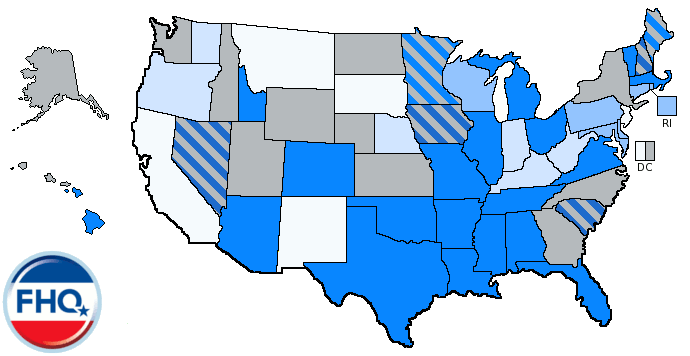 Florida not only conducted a presidential primary in 2012 on a non-compliant date but also allocated all of its convention delegates to the winner of the primary, Mitt Romney. That move by the state Republican Party was also in violation of the then-new proportionality requirement the RNC rolled out in 2012. 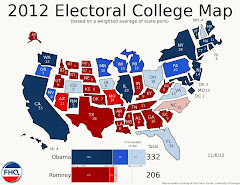 For the 2016 cycle, any state with a contest before March 15 will have to include in its delegate allocation an element of proportionality. That is something the past plans of the Republican Party of Florida have lacked (at least since 2008). Does that move Florida back to March 15? The quick answer is yes, but only if the Republican Party of Florida opts to maintain a winner-take-all allocation of national convention delegates. That has not always been the case. Prior to 2008, Florida Republicans utilized a winner-take-all by congressional district method of allocation. That changed for the 2008 cycle when a change in the RNC rules gave states a bit more leeway in choosing a winner-take-all plan. The rules change gave precedence to state party decisions over state law and opened the door to a greater use of true winner-take-all allocation plans. That national party rule stands, but Florida Republicans hold the key to when the presidential primary in the Sunshine state will be scheduled. A true winner-take-all allocation means a March 15 primary. A plan with some element of proportionality would put the primary on March 1. 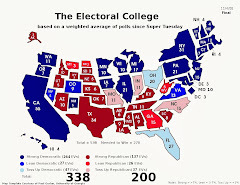 1 In the 2011 law, the state legislature ceded the power to set the date of the presidential preference primary to a nine member committee set by the governor, the president of the state Senate and the speaker of the state House. While that group opted to defy the national parties' delegate selection rules on timing, that was not something mandated by the law. That was a departure from the 2007 law that set the date for the final Tuesday in January, in direct violation of the national party rules. Will a Calendar Bump Up Mean More Candidate Visits in SEC Primary States?